This campaign has been replaced by a new campaign for the new mayor of Gimpo. Click HERE for the new campaign page and please take action. County Commissioner Donald Lovette of Liberty County, Georgia: Tell Sister City, Gimpo, South Korea, That We’re Opposed to the Torture and Consumption of Dogs and Cats. Gimpo became a sister city with Liberty County, Georgia in 1997. But this Sister City has a shameful, reprehensible history: Gimpo, South Korea is responsible for a horrendous dog and cat meat trade. 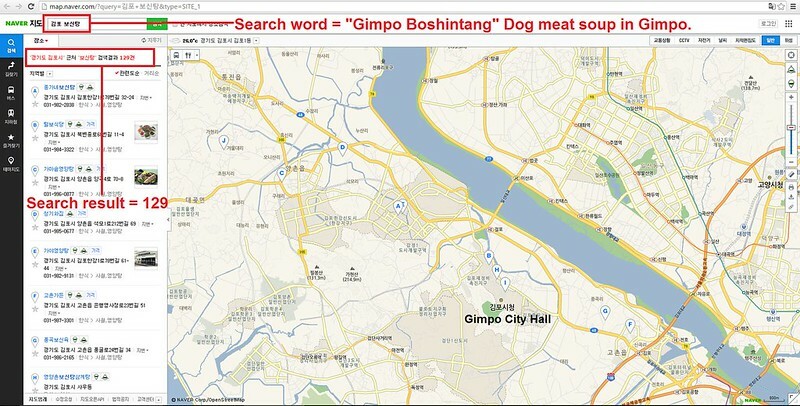 A Search Engine reveals the sickening scale of Gimpo’s dog meat demand. 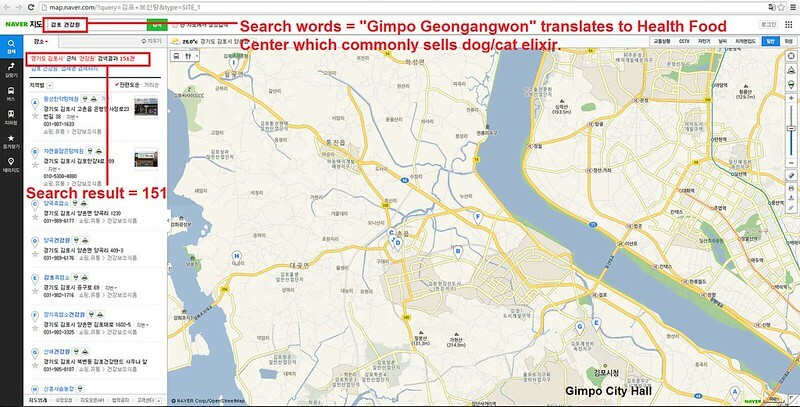 The searches resulted in: 151 Health Food Centers; and 129 restaurants in and around the city of Gimpo alone. Even if half of these ‘Health’ Food Centers and restaurants serve dog and cat ‘ingredients’ in one form or another, just imagine how many dog/cat farms and slaughterhouses must be present in and around Gimpo in order to supply all of these outlets. to the Liberty County Commissioner Donald Lovette today! No matter where you live PLEASE SHARE these actions with your friends – especially those who live in Liberty County! THESE SUB HUMAN ACTS MUST STOP NOW! Please please please stop this torture & protect these animals NOW ? I hope you barbaric scum all get torched off the planet. Sub human scum. This cruelty suggests that Koreans like to LOSE FACE by doing inappropriate actions.